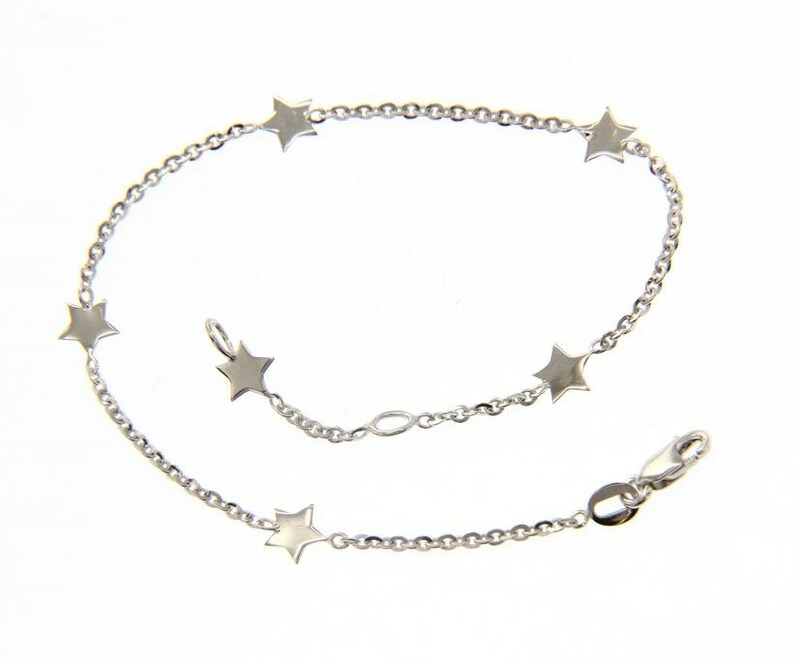 Five white stars in a row run along your wrist. Guiding you through your days and nights full of hope and wishful dreams. 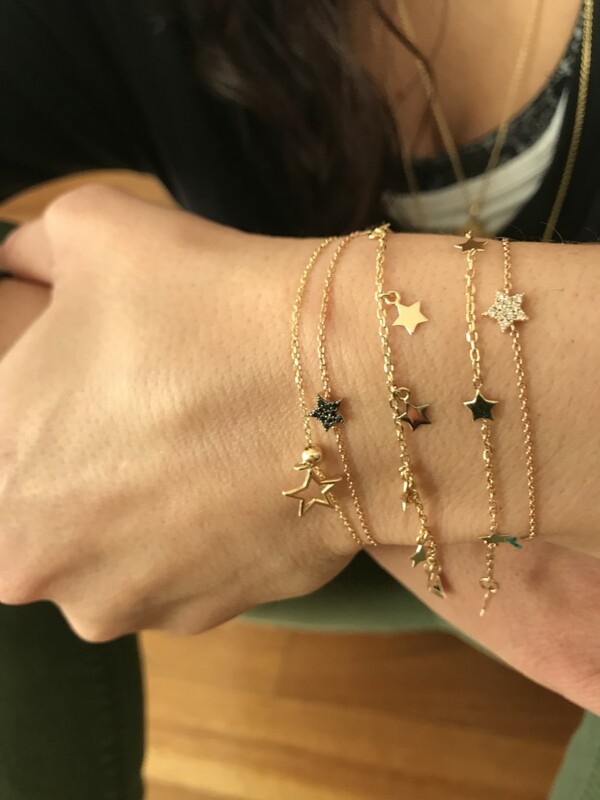 Worn alone or layered with any other bracelets.